Have you spent a Christmas in Colombia? I want to hear all about it! Let me know what you got up to in the comments below. Pin this poster for later! Love this so much! Thank you Sarah. I’m a Colombian national residing in Boston. I spent part of my Christmas in Colombia last year, first time as an adult (I grew up in Colombia until I was 12). I absolutely agree with everything you wrote. For me, I’ll miss partying for days straight, singing, laughing, saying goodbye to everything that 2014 brought, the good and the bad. I love that no matter how much money people have or don’t have, everyone always has food to share, a smile on their face, and positive things to say. Thank you for shedding a positive light on our beautiful country and people. You’re a doll! Anytime you want to party like a Colombian in Boston, just give me a shout. Oh Nati, that literally just turned me into a blubbering mess and brought a tear to my eye. I will most definitely hit you up if I’m ever in Boston! I love this, thank you for showing the spirit of my Country. You should check out Medellin in August for the flower parade they do…it’s just like this…days and days of celebration. I moved to the US at the age of 4 but have gone back numerous times to spend Christmas with family and it’s non stop food, celebration, laughter, drinks, dancing, music and warmth. No matter what, it’s always about being with family and that was the best part of going home. Absolutely, Lola. You nailed it! I have been planning to go to the Flower Festival for years. Haven’t quite made it yet. It’s so beautiful to see how people from other countries really see how happy we are on holidays; that we are not just a country full of violence as most of the people in the world see us. Thank’s for posting this, and you’re more than welcome anytime you come back! Oh, thank you so much Catalina. You are so welcome. Colombia is so easy to write about, especially at Christmas! Thank you! I will most certainly let you know when I come to Medellin for the Flower Festival. Big abrazo! Sarepa, first of all a big thank you for visiting Colombia and spreading the positive things in it. You should definitely try to make it to La Feria de Cali, you will have the best time I assure you. If you don’t know how to dance salsa, no problem! You will become a pro by the time it ends. Feliz Navidad to you and yours. Thanks, Alejandro! That is definitely on my list. Thanks so much. Feliz Navidad to you too! 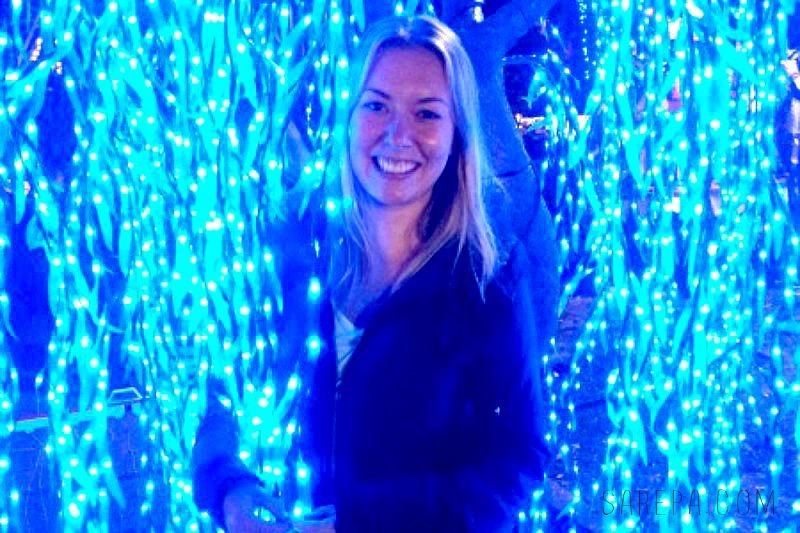 I am from the United States married to a Colombian and have been to Medellin 2x during the Holiday Season and the lights are truly breathtaking. Once you see Medellin during Christmas it is hard to find the same level in the United States. Very happy my kids have seen this and plan on continuing to bring them back in a few years. Medellin has a lot to offer year round! That is so wonderful to hear, Wendi! Thanks so much for taking the time to comment. Feliz Christmas and Happy Navidad! Love it! You are so right about everything you said and you appreciate it even more when you don’t live there anymore and just visit. My country has the happiest people in the wor ld I dont think it can get any better Thank you for sharing the positive things about and amazing country! Thank you Camila! You are so right! Feliz Christmas! Hi Sarah. Thanks for sharing the beautiful things of my country. About Colombia people have said a lot of bad things, but few people have highlighted the beautiful things. Happiness and kindness are characteristics of our people. I invite you to enjoy the “Feria de Cali”, one of the most beautiful and important festivals of my city, Cali – Colombia. You are very welcome to our beautiful city. Thank you so much! I love Cali! I went to el Festival Petronio Álvarez a couple of years ago and it was absolutely amazing! Oh my goodness Jefferson!! That is amazing!! Feliz Navidad again! I left Medellin at a very young age and while I’ve had the chance to go back a number of times I just haven’t quite been able to pull it off during the holidays. 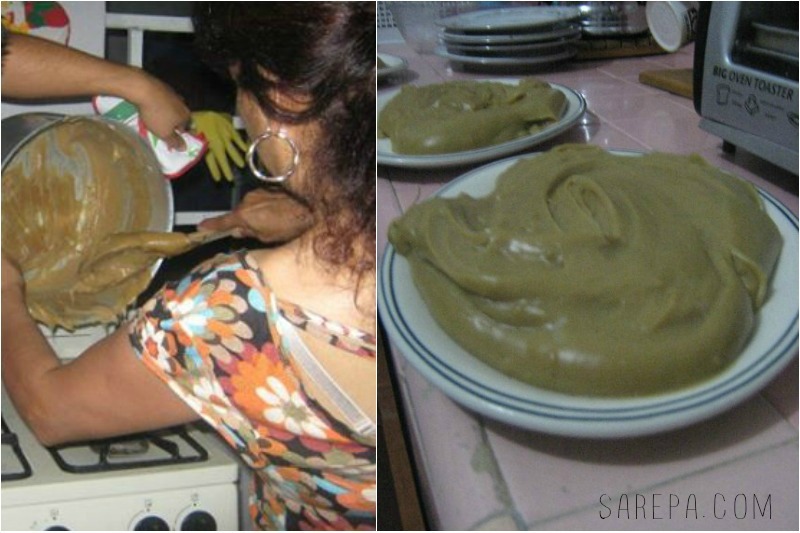 About ten minutes prior to reading your blog my parents sent me a video of them cooking natilla, buñuelos and drinking “guaro” along with friends and family. Needless to say the desire to make it down there around this time of the year is greater than ever. Thank you for spreading the word! Sarepa, buenas noches, muchas gracias por dar esos buenos comentarios de mi ciudad Medellin, y de mi pais colombia, quiero que sepa que es bienvenida las veces que quier, cuando lo quiera, pase una feliz navidad y si en fera de flores quiere venir bienvenida una y mil veces…!!! Muchisimas gracias Daniel. Feliz navidad! I went two years ago for the first time and was never the same again. It was the most beautiful Christmas I’d ever experience and cried when I had to come back home to school. There’s so much more love and laughter and much less about what presents you give and get. It’s all about dancing with your favorite cousins and enjoying the mountains and fresh air. 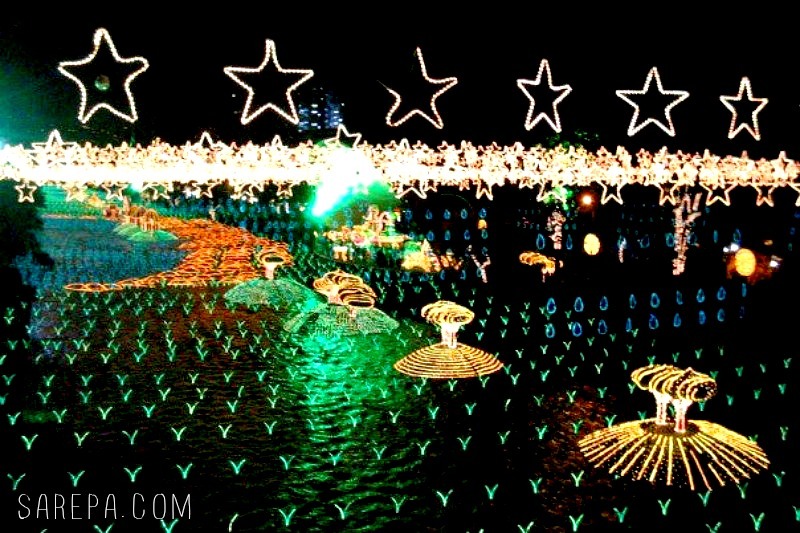 There’s nothing like a Christmas in Medellin. So true, Natalie. Less focus on giving presents, more on sharing love. Feliz navidad! Que viva Colombia! Thanks Janet! Amazing article, I was born in Cali, Colombia and I’ve been living in the states since I was 11, I remember Cali has a similar light display to Medellin’s; also in Cali we eat LECHONA in December after la novena, in Cali we also have Los diablitos, group of teens who dress as Devils, vampires etc that dance around the neighborhoods collecting coins ..
Ooh lechona!! Yes! Have some for me this year, Ok? Thanks Daniela! Bring a little bit of that Colombian Christmas spirit with you to Germany! Hi Sarepa! We are canadadians and we will be in Medellin for New Year Day!!!!! That sounds fantastic! Have an amazing time, guys! That’s definitely on my list Yuldor! I have been wanting to visit for so long. Hopefully someday soon! Hello!! Love this!! ! I have spent several Christmas in Colombia as a child and remember vividly the fun loving gatherings. And you nailed it!!! Family time is priority in Colombia. People don’t worry or go crazy about the shopping. They instead, prepare to entertain and enjoy the festivities. I remember when I lived in Copacabana, my father and neighbors closed the street down. And we all shared music, food and laughter. That was by far, the best Xmas ever!! Thanks for sharing your experience, it’s so wonderful to hear the good things of my country from others. Thanks so much Mabel. Yes, me too, I love that it’s all about family and sharing the love, rather than presents. Feliz Christmas! Thank you soo much for sharing! I love Christmas time in Colombia! I live in Toronto and as much as I love to spend Christmas here it always has a different feeling in Colombia! Thanks Luisa, have a great Christmas! Love to see you had a great time in Colombia, I’m Colombian too and have been living in USA about 8 years ago, Married with an american,I couldn’t be there for this chistmas because I was there for the last two christmas with my family, is the best time you spent with your loving ones, I can’t wait to go back, not only in christmas, any time you go, you’ll have a great trip, people always happy making you happy too!!! Can’t wait to go back, nothing like Colombia!!!! Thanks Luisa! You’re right, any time of year is a good time of year to be in Colombia. Mil gracias!!!! Amo mi país y tenemos millones de buenas personas dedicadas a hacer o mejor para nuestros semejantes!!! Gracias a ti! Feliz Navidad! Serepa, felicitaciones por esos hermosos comentarios sobre nuestra ciudad ( porque al venir a ella, también se convierte en tuya) me alegra que las personas sepan lo lindo que tiene mi país, fuera de todas las cosas malas que la prensa mediática usa para arruinar nuestra imagen. Vuelve cuando quieras y con quien quieras, que los paisas estamos felices de recibir personas como tu. Sorry if you don´t understad Spanish, but I love my lenguaje too. Muchisimas gracias, Manuel, tan lindo tus palabras sobre tu pais. Feliz Navidad! Thank you Sarah for contributing to the promotion of our beautiful country! Im Colombian, living in Brazil, after spending the last 2 and half year in Boston and it makes me so proud, so happy to see that despite all we have been trough, and still going through, people are finally seeing deep inside our beautiful country, our traditions, and all we have to offer to the world. Counting the days now to go back home, to spend Christmas, because there is not better place to be at this time of the year than Colombia!!!!!! And if we talk about parties and festivals, try the Barranquilla Carnival once! And you will keep trying it for the rest of your life!! (Im from Barranquilla, can you tell?? he he he he) of course, hit me up and Ill get you a costume and dance with you on the street for 10Kms long, hydrating ourselves with rum and a couple of shots of aguardiente!!! I loved your blog!! I have not read them all, but just a fun fact about “THE ONCES” you like so much: “The name Onces comes from the guys at the paisa region. They would leave their work at the coffee fields and factories to have ONCES, which is the number of letters on the word AGUARDIENTE so their wives would not know that was what they were drinking! It was not hot chocolate, or coffee Just shots of aguardiente….” Merry Xmas!!! hahah oh my goodness, I never new that about Onces!! That is fascinating! Thanks so much for reading and for taking the time to comment, I really appreciate it. And wow, yes! I have been wanting to go to the Barranquilla Carnival for so so long. Maybe next year. Send me an email and I will let you know for sure! You know this quote “Nadie es profeta en su pueblo”?… so, we need people like you, gently talking so good and loud about Colombia… because writings like this help us to give to our country the real value it has in everything we do as a community. You forgot to say that doesn’t matter your skin color or if you are not a family member or a close friend o even if you are a foreigner to be WELCOME to Novenas, Rumbas (parties), Berbenas (street parties), Asados, etc. Thanks for your lovely words!!! You are so right Carolina. I love what you said about everyone being welcomed into people’s families. I was blown away by the amount of people who so warmly invited me into the homes and their hearts. Truly amazing. Thanks for your comments and I hope you have a very Feliz Navidad! You nailed it! My parents are both Colombian and I’ve been spending Christmases in Medellin since before I can remember. I’m 38 now and have spent far more Christmases States-side, but to this day, the nostalgia of celebrating Christmas in Colombia is overwhelming this time of year. I love the holiday season anywhere, but there is NOTHING like Christmas in Colombia. Now that I have children my pledge is that they will spend at least every other Christmas there. That is beautiful Ron, keep the spirit of a Colombian Christmas alive! Hi, It is very nice to see this kind of posts from someone who is not colombian. I am from Colombia, and have lived in Bogotá all my life long. On the other hand, I have never spend a Christmas time in other place, that´s why I can not compare, but I am agree that this period of the year is an absolutely party time for us, we use to be happy and wish the very best for everyone, but I would say that every people in the world often do it, don´t they? You forgot to say one thing, on Christmas time, you usually increase your weigh for tons!!! hehehe… It is another ritual, to start a diet on January! I would love to see more comments from people who are not colombian. I am so sorry for my english, but I did my best. haha Fabian, so true. The weight definitely does pile on during Christmas… but you kind of work it all off by dancing, no? Thanks so much for commenting. And, I’m from Australia and there definitely aren’t any big Christmas parties, no one dances on the street, we do spend the holiday with family though, but it is usually just two days, not an entire month. Sarepa I’m Colombian and I’ve been leaving in Canada for a while. The description of our Christmas celebration couldn’t be more precise and FUN ! Being outside the country and having the opportunity to see our celebrations from your perspective makes me completely proud. Thanks for briging out the wonders that sometime we dont mention about the best country of the world ! Thanks so much Silvia! Have a very Feliz Navidad! It’s so true!! I’m a born & raised ‘santandereana’ with american relatives in several cities across the continental U.S. and i just showed them this blog post. They all totally agree with you!! 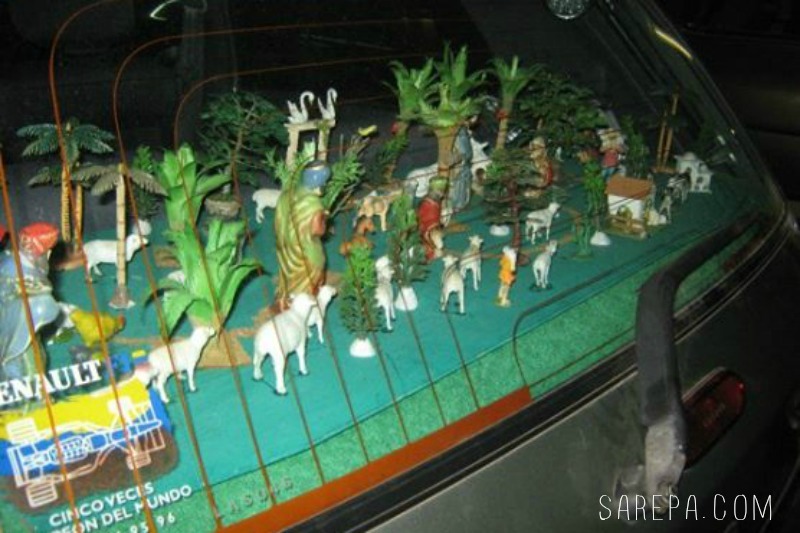 One of the most heartfelt posts we’ve seen about Navidad in Colombia. Thank you so much for it!! Aww that is just the sweetest. Thank you Vanessa. Merry Christmas! Feliz Navidad! thank you, your post is really awsome. we need more people like you for change the bad look that we got. we are pure happiness and emotion, thank you so much. my home is your home. Thank you Angela, so kind! Have a very Merry Christmas! The really important thing is stay in familly, anything else is irrelevant!!! So true, Alan. Have a great Christmas! this article made tears come to eyes as a Colombian leaving in nyc since I was 14 this make me feel really nostalgic and miss a Christmas in my beautiful country thank you so much for showing this part of Colombia I totally agree with you my Christmas its ruin because every since I left it has never feel like Christmas to me ! Oh Mayra! Big hug for you! I´m from Colombia and I lived in new York, in Madrid and now I´m living in the north of Portugal but the true is christmas in colombia is wonderful and unique! Thank you so much Sara and Merry Xmas!! Thank you Luz! Merry Christmas to you too!! Thank You for spreading the word of the Colombian culture. I’m Colombian-American born in New York CIty, but very proud of my heritage. I’ve only had the opportunity to enjoy two Christmas seasons. These were the best Christmas ever. I’m very happy that foreigns also enjoy as well. Merry Christmas! Beautiful comments about my beloved Medellin. Definetely, we – the “paisas” – should give you a special reception next time you visit us. Maybe a ride on “bus de escalera” around the East countryside. But you must take care with the combination of “guaro”, with charming people, chilly breeze, and the road curves since the alcohol could shake so bad in your brain that you can lose the sense of yourself at any moment…. Great article and very interesting! Keep up the good work! I’m totally agree with this article, I’m from Barranquilla but actually living in canada, well almost leaving after 5 month here….reading this article reminded me of how beautiful christmas is in my country. I’m happy there are persons like you that focus on the good things of my country, now i can’t wait for being back in colombia…. of course you have to go to the carnival, you are welcome. great article! I’ve spent Christmas in Colombia a number of times, most in Medellin. My first Colombian Christmas I was just 16 and an exchange student. It was tough at that time since Christmas was a special time for my family, I hadn’t seen them for 6 months (we could fax once a week, no internet back then), and I had no idea that it wasn’t the same in Colombia until after Christmas mass, my host brothers went out to party. I’ll be back in Medellin for Christmas again this year and look forward to sharing with my wife’s family, our friends and taking our son to see the Christmas lights . He’s only 20 months and last year he was too young to enjoy, this year he’ll be in awe. One tradition that you missed is the burning of the ‘Old Year’ doll, usually packed with fireworks, to welcome the New Year. Doesn’t happen in El Poblado much but go to Envigado or Sabaneta and there will be one on every other corner! Hey there, it makes me really happy to read such beautiful lines about my country. Thank you so much for showing that bright side of Colombia. By the way, you should come to Pasto, you won’t want to miss the Black and White carnivals which are coming soon in January, though the celebration starts from December the 28 with the parade of “años viejos” and the recreacional and artisitic event “arcoiris sobre el asfalto”. The best way to say good bye to the whole year and receive the new one. Hope you can make it and head to Pasto. If you feel like coming just let me know. Thanks again for this great article. My email is gustins45@hotmail.com. Hello, i just wanted to say thanks a lot! All people can speak a lot of bad things about Colombia, but a few of then take some time to visit this country and live by themselves the real colombian lifestyle, well, excuse my english and greetings from Pereira! This sounds amazing my father is from Colombia and this will be the first time I am spending Christmas with him and my extended family in Colombia…thanks for the insight !!! So excited to get down there!! I met my wife (a Colombian) in 2003 and have visited 10 times, falling deeper in love with the country and it’s people with each visit. My best Christmas memory is a midnight Christmas mass in Ricaute that included a nativity play complete with fireworks (indoors!). Too much fun, lol! Also love all the lights in Bogota. Thanks for the wonderful article. Beautiful, all of this is true and I miss it so much, thank you for sharing. 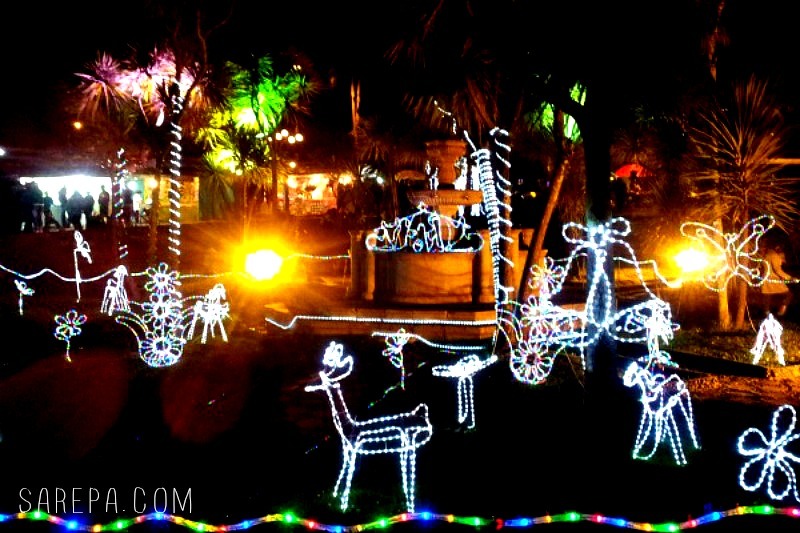 I miss my home town Paipa Boyacá and the lights around inspiring peace and joy! Hi Sarepa, in deed. Yesterday I was telling a friend how special this time was in Colombia. Now I read your article, and you nailed it. You are missing a big one, just after New Year’s Eve celebration, first week in January is the Carnaval de Blancos y Negros in Pasto! A must see and experience…. Bienvenidos todos a Colombia ! The risk is wanting to stay ! What a lovely post. As many people have said, it is wonderful to read such a positive article about Colombia, and it appears that you truly love this country, My partner and I moved from New York to Bogota six years ago and have never looked back. I remember the first time we experienced La noche de las velitas in Usaquen and fell in love with the tradition and keep falling in love again. There is such a sense of true community, family, festivity, warmth and love during that night. We actually look forward to it all year long! We are also creators of http://www.bogotabrilliance.co where we have an extensive listing of Christmas related events in Bogota, and authors of “Bogota! A Bilingual Guide to the Enchanted City” where a glowing photo of las velitas appears. Hola Tigre, Thanks so much for taking the time to comment and share your projects, it’s so nice to hear from other expats who have been taken by Colombia’s charms. Have a wonderful Navidad y prospero Ano Nuevo. Big abrazos! Thank you Sara. I hope that you have a wonderful Christmas and very Happy New Year. I love all the comments from Colombians – born and adopted. You have really struck a chord. You masterfully turned the internet on fire. Well written and nicely put, you are one of us now. Thanks for spreading the word of your awesome experience. Thank you Hugo! Big hug from this honorary Colombian. So true, Kat! Feliz Navidad! De acerdo!! Tottaly agree!! Feliz Navidad y Felices Fiestas! MErry Xmas and happy holidays!! Amazing Michele! All the best with your Bed and Breakfast! I hope to hear more about it soon! … Bogotá, Medellín, Cali, Barranquilla, Cartagena, Santa Marta, Pereira, Pasto, Manizales, Neiva!! You name it, you´ll find it. 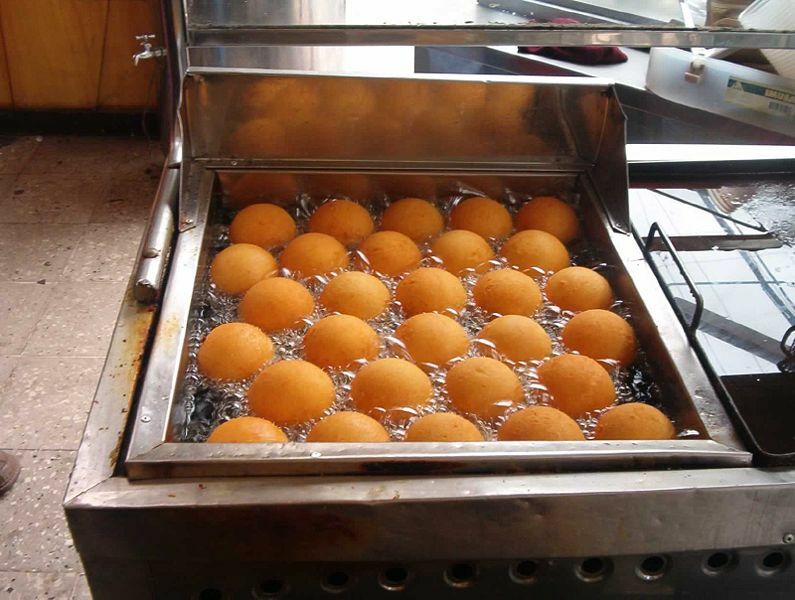 Sancochos, arepas, buñuelos, natilla, empanadas, ajiaco, tamales, bandeja paisa, bollo e´yuca and a good juicy fresh “cholado” for desert !! a Multi-ethnic country! full of amazing people, good food, beautiful places, cities and family; We, Colombians are a big FAMILY. 16 years abroad made me appreciate it more and more every day; Finally back in Colombia for good!! Thanks Sarah!! thank you so much for those words, you just took a big smile out of my face. SO PROUD TO BE A COLOMBIAN !!! Thank YOU Adolfo! And now I am hungry after reading your comment. Yum! and you didn’t even mention the biggest party of all. La Feria de Cali!!!!!!!!!! Starts on the 25th!!!!!!!!!!!!! True! I must pay La Feria de Cali a visit soon! Couldn’t agree more, I have never spent a Christmas but been there on holiday..beautiful memories of a beautiful country with beautiful people. Christmas in Colombia has ruined…RUINED…Christmas in the states. I’ve stayed in Medellín for the past two Christmases and fell in love. The weather, people, food are all spectacular. The private novenas always brought tears to my eyes. 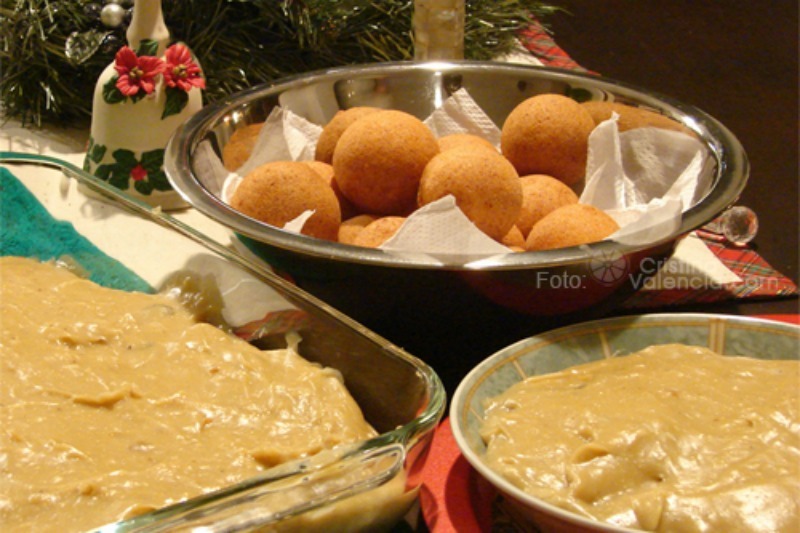 I will be making buñuelo and natilla for my family and friends here in the states to fill the void Christmas in Colombia has left. I totally get you on that one Valerie! I tried making bunuelos in Australia one year. It went horribly haha. I burnt them and they just didn’t taste the same. I ate them anyway of course. Have a great Colombian Christmas wherever you are in the world. Christmas in Colombia …full of good memories to Me. Thanks Valerie for share positive things about Colombia. You are missing a big one… Las chivas rumberas! It is basically a party bus with a live band that goes around town to see all the Christmas lighting. In some of them there is actually a dance floor! Im glad you enjoyed xmas in the best country ever!!! Colombia is not just great for the holidays is great everytime of the year. The people are the most kind, and happy! What an amazing article. I am so glad to see this. I will be Travelling soon with someone who hasn’t been there before. He will be delighted. Thank you ! How exciting! Enjoy and Feliz Navidad! 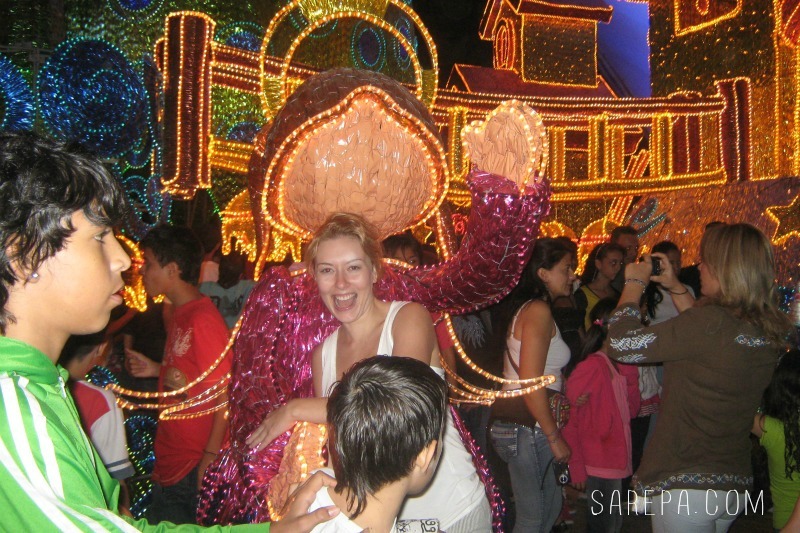 Hi Sarepa, I love your post about “Why celebrating Christmas in Colombia will ruin the holiday for you forever”. I’m from Medellin Colombia, and thanks You, for be positive about my country. I hope You have a good time always there. Pasarla con la familia es lo mejor y eso es Navidad en Colombia. Mis hijas adoran Colombia y su cultura. Que bueno, Rosario. Es verdad. Gracias por compartir. Feliz Navidad! Thank you for your article that reminded me of yet another great feature of my beloved country. It’s been 13 years since my last Christmas in Colombia and I miss them dearly. You are so welcome, I didn’t do anything though. Thanks go to the people for making Christmas in Colombia so special. Lechona (entire oven roasted pig filled with rice and spices), sancocho (home made stock with chicken, pig and beef cuts, served with rice, potatoes, yuca and corn) are some of the dishes served during december celebrations. Everyone is invited Colombia and its People are waiting for you!!! Of course, we can’t forget the coffee! Wow.. This is so awesome to see this article about my beautiful country because all we known by is the drugs, and guerrillas. But people don’t know we actually live, specially in December la feria de Cali lo mejor que hay.. Proud to be Colombian.. Thanks..
jaja so true! Colombia does have an amazing Navidad or Christmas! When I first moved to the States at the age of 14 that was one of the things I missed the most. But now I have gotten used to it of course and still wish more people were happier during Christmas time like in Colombia. Thanks for sharing Zaida, I hope you have a great Colombian Christmas, no matter where you are. Me alegra mucho escuchar muy buenos comentarios de mi pais, en realidad eso me enorgullese. Por donde lo miren, Colombia es un pais muy interesante, la gente es super amable, yo diria que no hay comida maluca jajajaja, el clima es delicioso y los paisajes ni se diga. Ojala muchas personas se entusiasmaran de ir a visitar y conocer ese paraiso que es mi Colombia querida y puedan seguir dando fé de lo lindo que es y lo bueno que se pasa y no es solo en diciembre. Gracias por el articulo. Espero puedas traducirlo para otros. Gracias. Que bueno Carolina, y que amable eres tu. Muchisimas gracias por compartir tus palabras tan hermosas. Feliz navidad! I totally agree with you guys. There is no place to spend your holidays especially Christmas in such a wonderful country like Colombia. The food is unique and happiness is what calls your attention from Colombians. You must come here to Colombia and you ought to enjoy all this epic moments. You will never regret, that is for sure. You tell them, Bryan! Thanks for sharing and for taking the time to comment. Feliz Navidad! So true Christian. The only risk is wanting to stay. Feliz navidad! Christmas in Colombia and more especific in Cali are the gratest, I’m from Cali – Colombia and if you spent a christmas here you will miss it year after year. 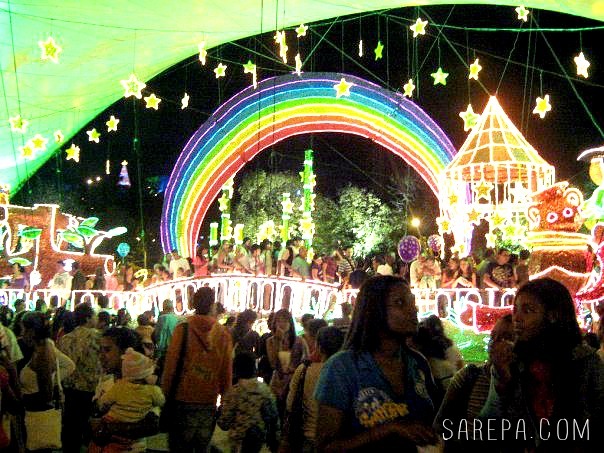 In Cali, we celebrate the “Feria de Cali”; there’s parades all the week, parties everywhere, and most of all, a Christmas spirit in every corner because Cali in this time of the year, become the most illuminated city in Colombia. Greetings from Colombia. I can’t want to visit Feria de Cali myself one of these days. One of my best friends lives in Cali, so I will have to visit with her soon. Have a great Christmas Juan! I am Colombian and I wouldn’t miss most of the things on the list. There’s too much noise in the neightborhood, insecurity, fireworks and burned people everyday during the month ’cause their irresponsability. Although is true that celebrating here is nice because colombians enjoy to share time with family and the food is great. I love the focus on family and food, too, Mesila. Have a great Christmas! Agree! So many great things to enjoy but so much insecurity and ingnorance (still) unfortunately. I miss many wonderful things but I would not change the peace and safety for them. I still cherish the good things though. Well, Melissa fireworks are not allowed anymore so that is not true anymore. Insecurity is not as bad as before, I have taken out my I phone here or my camera without a problem (you have to know where to do it). I really enjoy Christmas here. What a fantastic article! It makes me so proud not only of being a Colombian but to see that such feeling of love and joy is shared from millions of us as some outsiders as well. Colombia tierra querida signo de fe y alegria. Que viva la navidad parceritos del reino del cafe, Pereirano de corazón, je je. I am Colombian and this post and all the coments here make me so happy, and that is very thrue…..there is not fiesta like Christmas in Colombia…..It is over a month of religious celebrations, street parties, loud music, bright and colorful street lights, and amazing food……. 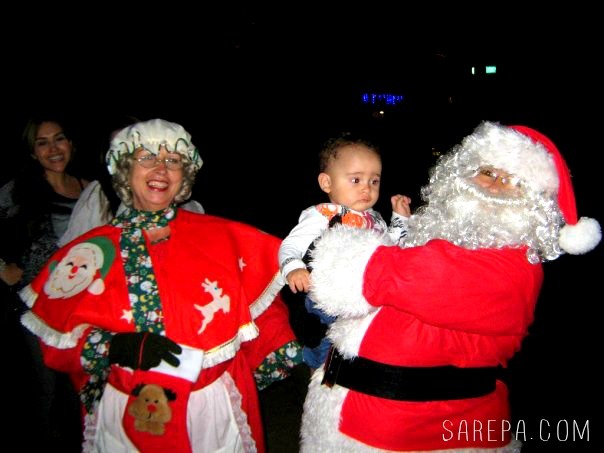 Love my country, love my Medellin……..
Sarepa you forgot the most famous cristmas carol (Villancico) in Colombia: El burrito Sabanero. tks 4 the post. You missed New Years they burn “mu~ecos de trapo” that what ever “bad” social personality that represented in the year. Excellent !! But forgot to talk about the explossion of the old year on january first! Con muchisimo gusto, Erick!! Feliz Navidad! Un abrazo! Although I haven’t spent Christmas anywhere else than Cali, I’ve visited a bunch of cities during these holidays and I can say that Christmas lights all around Colombia are awesome, but something that have impressed me my whole life is how people get even nicer than usual by this month. Is amazing how people share with other people they don’t know and how eventhough most of families I’ve visited don’t have much money they just don’t care offering more than they have to keep a happy tradition and, of course, to help those who have less than they do. Personally, I’ve experienced the way foreighners get amazed by our behavior during these days and it makes me way prouder to be Colombian than I usually am. 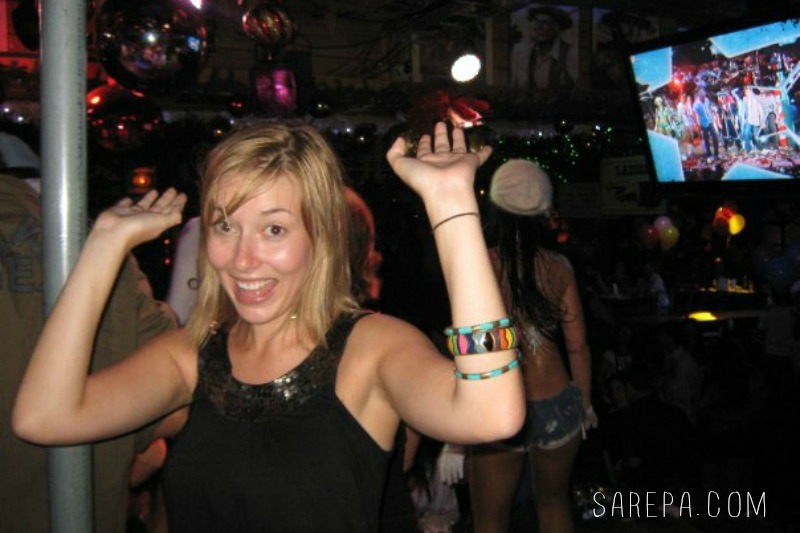 Great post and great blog Sarah. Don’t forget to come to Cali to enjoy the best way to end a year: La feria de Cali! Well, the wheatear hasn’t been kind to us this December, but it’s still awesome to be in Medellin in Navidad! Thank you for making us all feel proud about our culture and heritage, and I’m really glad you get to enjoy Christmas time the way we do! Vivir en otro país? No! Aquí lo tengo todo! Tengo a mi familia, mi hogar que no solamente es mi casa, si no la casa del vecino, la de mi abuela, la de mis tias, la de mis primos, la de mi amiga. Colombia me entristece con ciertas cosas que son injustas, pero me hace feliz con las otras tantas que son hermosas! Y de estas encontraras bastantes. Aun me herizo al escuchar el himno nacional en cualquier evento y soy de las que defiendo mi país a capa y espada. Y como no hacerlo si es mi tierra, mi patria, mi segunda madre! Christmas as a child tends to be magical and filled with wonderful memories that stay with you forever. As a 30 year old AMERICAN having lived in Colombia for an extensive period of time, I speak from experience when I say that the childhood feeling of celebrating Christmas comes rushing back. The sense of community and family are like nothing I’ve ever experienced in other parts of the world. It doesn’t matter how much or how little that you have, Colombians celebrate together as a unit. The families in Colombia that I have been privilged enough to become a part of are the most loving, caring and dear people that I have met in a long time. They adopted me as their own without ever wanting to know things like, where I live or what I do, or how much money I have. Now living in Washington DC I am constantly reminded why ever last ounce of free time I have I am on a plane back to “eterna primavera” Medellín. If the wonderful cultural experience of Christmas and New Years doesn’t sell you on living there, I bet the eternal spring like climate will. There are few places in this world that are as near and dear to my heart as MEDELLÍN Colombia is. The negative stereotypes that stem from the 90’s are long gone. I challenge those reading this who have never been to Colombia to step outside of their comfort zone to go experience a small piece of heaven that will be waiting to greet you with arms wide open. If your schedule prevents you from visiting Medellín in December, I highly recommend that you visit during the first two weeks of August to celebrate La Feria de Los Flores. The flower festival is one of the most beautiful festivals that I have ever seen. I was born in Colombia, but I don’t remember any of the Christmases I spent there…been trying to go back for years for at least one more! We do what we can in the states though – keep up with the novena, bunuelos, alcohol lol. This makes me want to go back so bad! I am originally from Armenia, Quindio and in my neighborhood (Rojas Pinilla) we would always do a live nativity scene. It was so sweet. I grew up with a large Colombian family in the U.S., but of course, it is just not the same. We would still have our novenas and party until 3 or 4am Christmas Eve but only within the comforts of our home (there was often snow outside! ), not out on the streets. I miss Colombia!! Wonderful Christmas and New Year in Bogota and Taganga. Decorations in Bogota, especially in parks, were spectacular. Loved the lights at Boyaca bridge, and the music in Taganga. De Fort Lauderdale saldré en plena Navidad para. Bogotá, allí tratare de no divertirme mucho, pues ya estos quince años por fuera lo alcanzan a uno a ponerlo demasiado sobrio en todo y pasare el fin de año y seis de reyes para retomar y no perder la costumbre. Abrazos y allá nos vemos. Great comments about my country. Nice to see and read something positive! I am originally from cambodia . My country they celebrate Christmas Ave too but just started from before one day and after one day , it meant 3 days . I saw the Colombian people they celebrate it’s awesome . I wanna get to know about their celebrate . I hope I can go there one day and celebrate with them ! Omg i am so happy to read all of this! 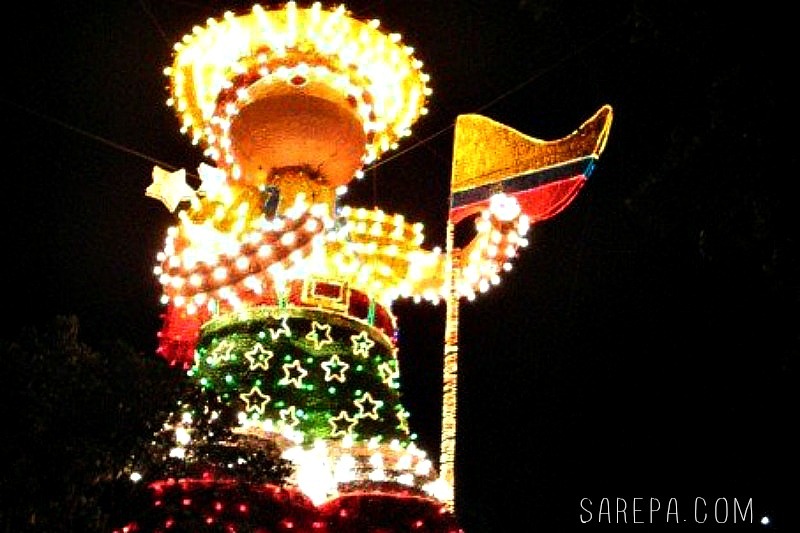 im from cali-colombia, you should visit my city, we have Ferias from december 25 to 30 and its so much fun! you can see salsa shows all over the streets! 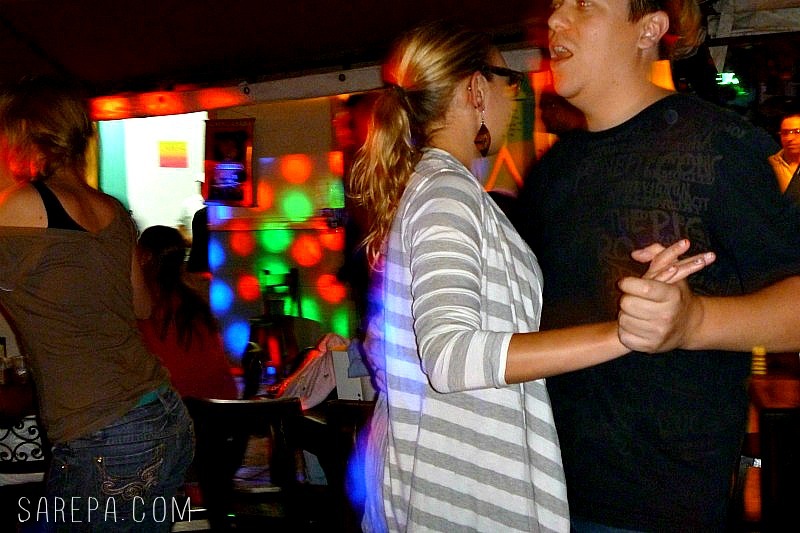 our city is like salsa’s capital hahaha we love salsa here, and we love partying and dancing!. my whole country is beautifull, im so glad people get to know we are so kind and happy to meet new people. come to colombia, visit my city! im sure you will fall in love and thanks to all the people who has already been here and know how special is this country, love to all of u! *pencils in a trip to Colombia* Wow. This year I was living in a country that doesn’t celebrate Christmas so I was feeling unbelievably unfestive. What an amazing place to enjoy the holidays though. I’m going to have to go there one day. Oh, you really should pay a visit, during Christmas especially, if you can. Sounds all great. But is there anything to do on Christmas day (25) itself. My experience in other South American city’s is that almost everything is closed on that day. Even all restaurants at night.